Alliance Gold is selling 999.9 fine gold under its own brand name, it' one of the well-established brand name in Malaysia. We provide investors with opportunities to invest in gold in anticipation that gold price will rise in the near future. We are selling physical gold coins in 10gm, 20gm, 50gm and 100gm, 500gm & 1kg, in more than 100 distributors throughout Malaysia, all priced in Ringgit Malaysia. How do I become a member of Alliance Gold? We are pleased that you are interested in buying and selling gold. To become Alliance Gold member, simply complete this online registration form, and then click "SUBMIT" at the bottom of this page. Our company will then send you a verification email to verify your email address. Please be noted that every user must change their password at the first time when log into Alliance Gold Account. As a member of Alliance Gold, you would be allowed to lock gold price online. Our company will send out helpful gold price messages and emails to members periodically, to update them on gold price news. However, benefits of membership vary depending on the level of memberships. The summary below shows some of the benefits applicable to the membership levels program. 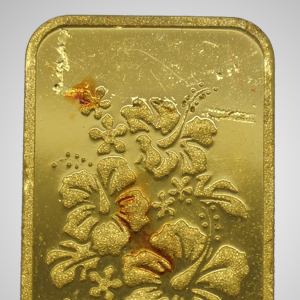 or until outstanding weight of gold bar which locked price is less than or equal to 50gm. or until outstanding weight of gold bar which locked price is less than or equal to 500gm. Rebate will be given on referral purchases. or until outstanding weight of gold bar which locked price is less than or equal to 1000gm. Receive an exclusive discount rate of gold price. I have not received any email to activate my account, what should I do? Please check the "junk" or "spam" mailbox in your email account, as sometimes the email gets is classified as junk by your mailbox as it is an auto-generated email. If you do not receive an email within 2 days, you can contact us via the contact us page or call 012-422 3188 to inform us. Let us know the name you entered in the account for us to assist you. I am unable to log in my Alliance Gold Account, what should I do? If your log in doesn't work, please contact us via the contact us page or call 012-422 3188 to inform us. Let us know the name you entered in the account for our staffs to assist you. I am unable to remember my password, what should I do? Go to the login page, click the "Log In" on the menu bar. Look for the "Forgot Password”, click on either and follow the instructions given. How do I change my details and account password? Once you are logged in, you can change your details and password by going the "My Account" on the right menu bar, clicks on the "EDIT" to make the changes you require, then click on the "Save" button when you are done. How do I opt out from receiving SMS or e-mail communications from Alliance Gold? You can manage the SMS or e-mail communication you receive from Alliance Gold by logging in My Account. Once there, you can easily select the types of communications you'd like to receive from us, or specify that you'd prefer not to receive any at all. How can I buy/ sell gold price via Alliance Gold online Account? Log in the Alliance Gold Account with your user ID and password, and then click on the “Choose Product”. Click “We sell” if you would like to buy the gold bars from Alliance Gold; or click “We Buy” if you would like to sell the gold bars to Alliance Gold. Then, insert the right quantity amount that you would like to buy/sell. Click “Next” when you had chosen the products. “Shopping Cart” allow you to view all items currently in your cart. Once you have identified the item that you would like to remove, click on the “Remove” check box to the right of the price. Please be sure you have sufficient fund before lock in the gold price. Any default in payment within 2 working days may result in losses when the position is forced to square off. How do I change the quantity of a particular item in my Shopping cart? To change the quantity of an item in your Shopping Cart, move your cursor to the box that appears under the "Quantity" header for this item and type in the quantity desired. Once you do this, the quantity and associated price amount (if applicable) will automatically change and reflect the correct amounts for both the quantity and the cost. How will I know that Alliance Gold have received my order? What is the Rebate Program for Alliance Gold Membership? Alliance Gold Rebate Program is a cash back program which offers potential customers rebate on purchases. For more information, please e-mail us at support@alliancegold.com.my or call 012-422 3188 to inform us. How do I insert code for rebate? Rebate code can be key in during the shopping cart process, which is before the locking price. When can I get Alliance Gold cash rebate? You will redeem your cash rebate from the 1st to 7th day of every month. Alliance Gold will issue the rebate value every month by processing transaction data and performing the rebate calculation from the previous month. How is the rebate given to me? You can either choose to accept your rebate by cash, cheque or online transferred by Alliance Gold. If you wish to collect your rebate from any of our distributor, please e-mail us at support@alliancegold.com.my or call 012-422 3188 to inform us. Alliance Gold Rebate will be mailed to the residential address as stated in the account. If you wish to collect your rebate from any of our distributor, please e-mail us at support@alliancegold.com.my or call 012-422 3188 to inform us. When do I need to pay online upon locking the gold price? You will need to make the full payment to Alliance Fine Gold Sdn Bhd within 2 working days upon locking the gold price. Once you had made the full payment, please capture or send us the payment slip to account@allinacegold.com.my or call 012-422 3188. Alliance Gold will then send you a letter confirming your delivery address and payment that has been made. I had sent my payment slip, but have not receive Payment Confirmation email from Alliance Gold. What should I do? The email from Alliance Gold may arrive up to 3 hours of working days from the online payment received, so please be patient. If after 3 hours you still do not receive the Payment Confirmation email, please contact us with your details for us to assist you. In the meantime, please also ensure that you check your "junk" or "spam" mail box to see if the email could have ended up there. How can I make payment online? Once you locked in the gold price, please log in your online banking account and transfer the full payment to Alliance Gold Sdn. Bhd. You are required to capture and send us the payment slip to account@allinacegold.com.my or call 012-422 3188. Please refer to the following file attachment for more about payment process. What are the direct bank payment options available? We currently accept direct bank payment from the following bank. How do I get Alliance Gold bank account details for online payment/transfer? Our bank account details, for direct bank transfer payments, will be supplied during the payment process and are also printed on your Order Confirmation. Please be sure to include your member ID or order number when paying by direct bank transfer. Can I cancel or change the order? Before locking the gold price online, review your orders carefully. Once the gold price is locked, order cannot be canceled or changed. If you have any questions, please contact our customers support at 012-422 3188. When will Alliance Gold deliver the orders to customers? The orders will be delivered as soon as possible usually 6 hours on working days once Alliance Gold send out the Payment Confirmation email. Customers are encouraged to collect orders from the nearest Alliance Gold distributor. Our company also offers the option of delivery goods door to door. How do I change the address of where my order is delivered? It’s simple. Just Log in to your Alliance Gold Account, clicks on the "EDIT" to make the delivery changes you require, then click on the "Save" button when you are done. Please be noted that new delivery address only effective when orders are made after the delivery changes via online. If you had an order which you already made the full payment and you wish to change the delivery address, please refer to the next question. I had made the full payment to Alliance Gold, but I wish to change my delivery address. What should I do? Alliance Gold will send you a Payment Confirmation email to confirm all the details of your order once received your full payment. If you wish to change the delivery address as stated in this email, please email us at support@alliancegold.com.my or call 012-422 3188 to inform us. Let us know your account ID for us to assist you. For additional questions about Alliance Gold, please visit our Contact Us page. You can also speak directly to Customer Care staffs. Please email us at support@alliancegold.com.my or call 012-422 3188 from Monday to Friday (9:00-5:00p.m). How to take care of gold bar? Please avoid gold bar from oily products or sharp objects, which will results in scratches on the gold bar. Also, please take good care of the certificate and its packaging for a higher resell value in the future. How to resell Alliance Gold product at a better price? Alliance Gold will only buy back gold bar in good condition (with certificate and packaging) at a better price. Without certificates and packaging, a lower selling price of RM2 per grams will be offered to customers. What if the serial number of gold bar is different from the certificate? 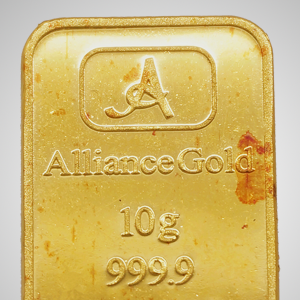 Alliance Gold will only buy such gold bar from customers at a normal daily selling rate. No better buy back price will be given to customers. Where to resell Alliance Gold gold bar? Alliance Gold has 100 distributors across peninsular Malaysia. 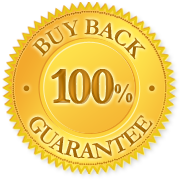 They are prepared to verify and buy back Alliance Gold products with good condition. How can I remove chocolate spots (oil grease) on the gold bar? Please use eraser to rub on the oil grease gently, all spots will be removed by the dust of eraser. Alliance Gold will buy back its product from investors regardless to the oil grease. We strive to answer as many frequently asked questions here, however, should you have any question that is not answered, please feel free to email us at sales@alliancegold.com.my .